Heute möchte ich euch gerne ein paar Ideen liefern wie ihr Bänder auf euren Karten einsetzen könnt. Dabei handelt es sich vorwiegend um Grundlegendes, aber vielleicht können die "alten Hasen" unter euch auch noch etwas Nützliches entdecken :) Ich werde diese Liste von Zeit zu Zeit auch erweitern. 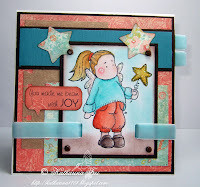 Today I want to give you some ideas of how to use ribbon on your cards. 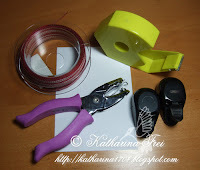 This is mainly basic stuff for people who just started cardmaking, but maybe the "oldies" ;) can also find something helpful. I will update this from time to time with new ideas and pictures. 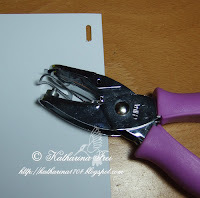 These photos show how I adhere the ribbon on my cards. You should always do your bow before you cut the ribbon off, so you don't waste ribbon. Hier ist ein Beispiel wie es auf einer fertigen karte aussehen kann. 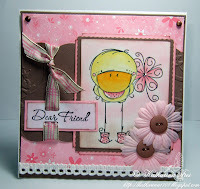 Here is an example how it can look on a finished card. Auf diesen Bildern könnt ihr sehen wie ich den slot punch und den kleinen Kreisstanzer einsetze um mein Band an Ecken oder Rändern von Cardstock oder colorierten Motiven anzubringen. Es kommt darauf an wie breit euer Band ist, welchen Stanzer ihr verwenden solltet. Wenn das Band sehr schmal ist, dann nehmt lieber den kleinen Kreisstanzer, dann sieht man das Loch dahinter nicht so stark. 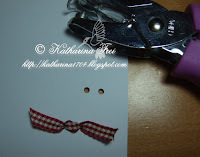 On these photos you can see how I use the slot punch and the small circle punch for placing my bows on the edges of paper or images. It depends on how broad your ribbon is which punch you should use. If your ribbon is very narrow, you should use the small circle punch, because then you don't see the whole as much as with the slot punch. Hier sind wieder ein paar Karten, die das fertige Band zeigen. Here are some cards which show the finished bow. Das Folgende ist eine sehr schöne Methode, wenn ihr eine Maschen in der Mitte eures Motivs oder Papiers verwenden wollt. Ihr könnt auch wieder den Slot Punch verwenden, wenn das Band breiter ist. The following is a very nice method if you want to do a bow somewhere in the middle of an image or paper. 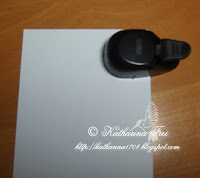 You can also do it with the slot punch if the ribbon is broader. Zuerst führt ihr das Band von Hinten nach Vorne durch ein Loch und dann durch das andere Loch wieder nach Hinten. 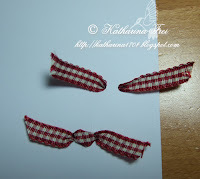 First you put the ribbon from the back to the front through one hole and back to the back through the other hole. So schaut es nun auf der Vorderseite aus. This is how it looks like on the frontside. Dieses Photo zeigt die Rückseite. Dort überkreuzt ihr eure Enden und zieht eines davon durch ein Loch wieder nach vorne (Photo2). Das zweite Ende zieht ihr durch das andere Loch. This photo shows the back. 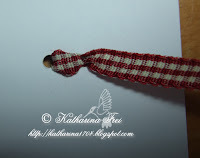 You now cross the ribbon and lead one end back to the front through one hole (photo2) and the other end through the second hole. Hier seht ihr nun die fertige Masche. Here you can see the finished bow. Das ist eine Beispielkarte auf der ich die eben beschriebene Masche angewendet habe. 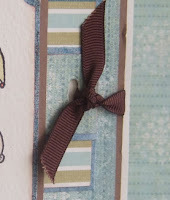 This is a card which features the mentioned bow. Ihr könnt die 2 gestanzten Löcher auch dazu verwenden das Band auf die normale Weise zu binden. 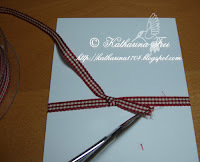 You can also use the two holes to bind your ribbon the usual way. Den Unterschied zur vorigen Methode seht ihr auf den folgenden Photos. The following photos show the difference between the two styles. Hier seht ihr noch ein paar Beispiele wie man die beschriebenen Werkzeuge einsetzen kann um einen speziellen Effekt mit Bändern zu erzielen. Ich hoffe ich konnte euch noch mehr für die Verwendung von Bändern auf euren Kreationen begeistern :) Danke fürs Vorbeischaun! I hope I could raise your affection for ribbon a bit (if it wasn't there already ;) Thanks for stopping by! wow, so viele tolle Ideen, ich danke Dir für diese vielen, wundervollen Beispiele. Da wird meine Wunsch-Shopping-Liste ja schon wieder etwas länger. Ich bin sprachlos Katharina! Viele dank für die vielen tollen Tipps! Great hints and tips Katharina, thanks for sharing! Wonderful suggestions, I have a real love for ribbon. 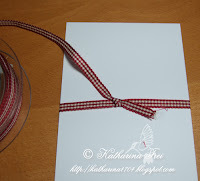 Your cards always look so good with your tidy ribbon knots, thanks for the how to. 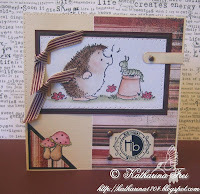 Thank you for such a great tutorial Katharina! It's certainly given me a few more ideas on how to use ribbon. 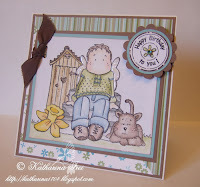 Thanks Katharina, you put a lot of work into this tutorial..I enjoyed it and I'm an "oldie"!!!!! Great ideas Katharina - thank you! 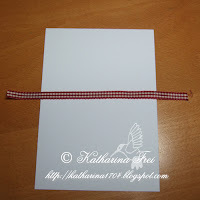 These are great ideas and tutorials for using ribbon....TFS!! thank you for this nice tutorial! herzlichen Dank für die vielen tollen Inspirationen. Habe wieder etwas dazugelernt. 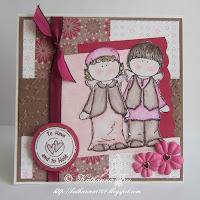 What a great tutorial Katharina - thank you so much for sharing. 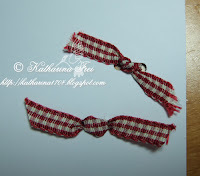 I just LOVE ribbon. It makes all the difference to a card I think. 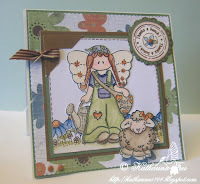 Brilliant Katharina, has an old hand at crafting the tutorial reminded me of some of the ideas I had forgotten. Ich danke Dir für dieses tolle Tutorial, denn nun kann ich endlich mal alle meine Bänder auch mal nutzen. Dank Dir. Thank you so much for sharing this Katharina. 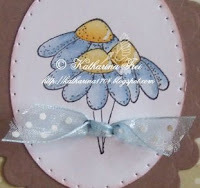 It's great to see other ways of using ribbons on your cards as I always seem to use the same method but not any more!! Super-Anleitung und wirklich tolle Ideen dabei. :-) Danke Dir dafür! danke dir für die mühe und die tollen ideen!!! klasse!! Thank you for that great tutorial! Sure gonna use those nice ideas from you. TFS your ideas,I've learned a couple of things from this,Thanks!! super Tutorial und wunderschöne Beispiele,Danke!!! Danke für den tollen Workshop und die klasse Ideen. Ist alles richtig klasse geworden. vielen Dank für die tollen Tipps und die Mühe die Du Dir damit gemacht hast. Danke für diese sehr nützlichen Ideen mit den Bändern! vielen dank für die schönen Tips! Werd ich sicher mal ausprobieren! Sind echt super! Great ideas - thank you so much. 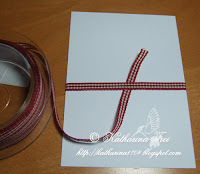 I am a bit of a ribbon phobic and have to really force myself to put it on my cards. Vielen Dank für diese tollen Anleitungen! Die helfen auf jeden Fall weiter. Deine Karten gefallen mir alle auch sehr sehr gut! 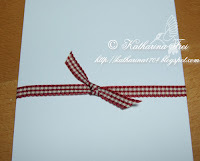 I love using ribbon, thank you for some more ideas of how to add it to our cards. 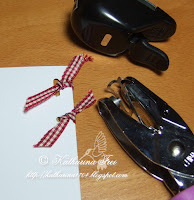 I just arrived here via another blog and I love your explanation of using ribbon. I now know how to do those great bows everybody uses. Thanks. 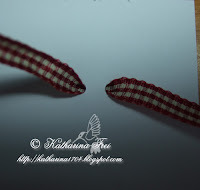 a million thanks to you..you have helped me a lot with this creative ribbon technique. ..and your cards are all very beautiful, feel so luxurious having them..